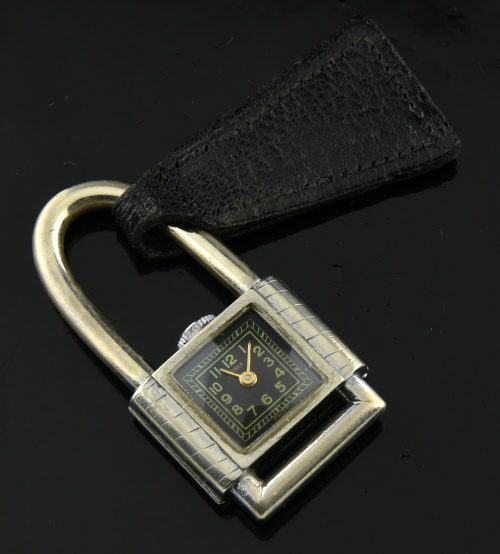 This is a pretty interesting circa 1930’s men’s vintage watch fob made for Canadian department store “Birk’s”, which is Canada’s equivalent to “Tiffany’s”. This could be worn in a chain, your key chain or in your pocket. The case measures 21.5mm. and 42.5mm. from top to bottom. The black dial is completely original and VERY clean. The SWISS manual winding movement was cleaned and is accurate. what a cool and unique piece!